Family- Bollywood film song writer & urdu poet Jan Nisar Akhtar (father), Singer,teacher & writer Safia Akhtar (mother), Salman Akhtar (brother), Honey Irani ( 1st wife), Two children Farhan Akhtar & Zoya Akhtar, Shabana Azmi (2nd wife), Salim Khan (best friend). 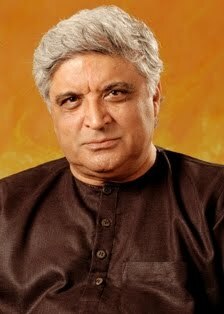 Awards- Padma Shree (1999), Padma Bhusan (2007), Filmfare awards, National awards, Screen Videocon awards (1995,1997), Zee award. Zee Lux cine award, National Integration award (2001), Avadh Ratan from UP Govt. (2001), Hakim Khan sur Sammaan award (2003).